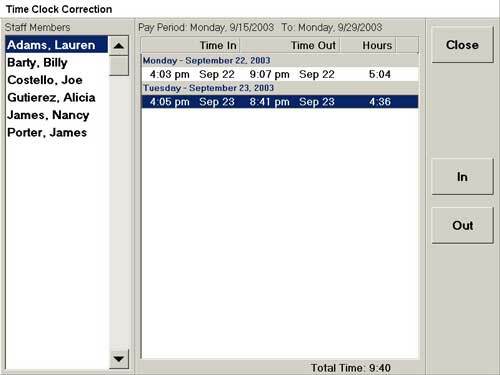 No matter whether you use Point of Success on a single computer or a local area network, your employee time clock can be made available on any or all of your computers. 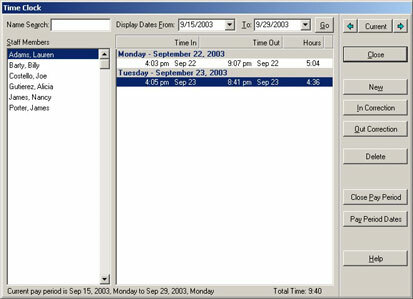 Employees can clock in or clock out anywhere on a network because all time clock entries are synchronized to within one second with the database server computer. 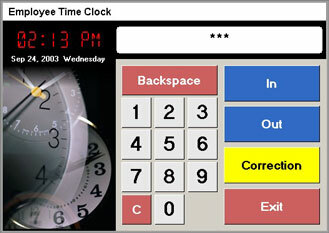 Enter and correct time clock entries, view time clock entries and close pay periods.